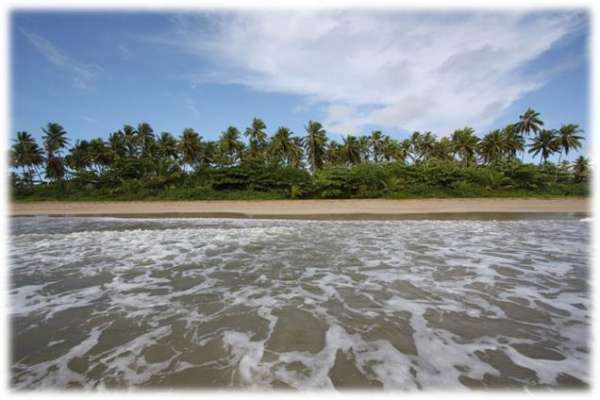 Boipeba Island is located just 110 miles south of the state capital Salvador, is for those looking for tranquility, and an unspoiled natural environment. Swaying palm trees, powdery white sands and crystal blue waters – Brazil’s enchanting tropical islands do a mighty fine job of defining a traveler’s paradise. There are few places in the world that are left pure and untouched while tourism even has boomed in the most remote places. This is why it is a miracle how the beautiful island of Boipeba remains an authentic oasis in the middle of the crowd. 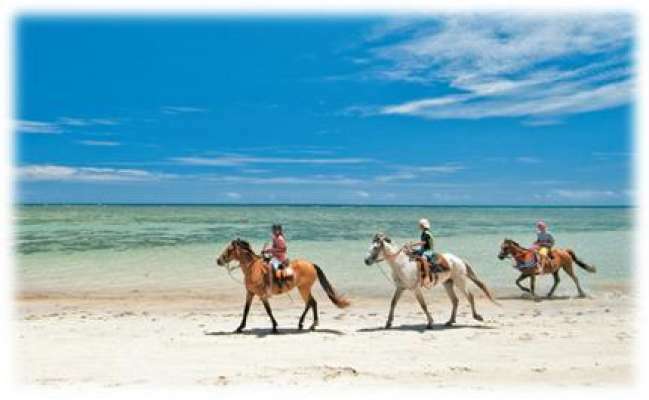 The island's coastline is also untouched, with more than 20km of beautiful, deserted beaches. Surrounded by the Atlantic Ocean on one side and the Inferno River on the other, this island is of rare natural beauty, home to a great variety of fauna and flora. A very small number of local pousadas (bed & breakfasts) cater mostly for individual, independent travelers. Boipeba has been still largely undiscovered by main tourism and this is why its original beauty and charm have been kept. Boipeba Island is under the Brazilian Government Environmental Protection. Boipeba was favored over Brazilian hot spots like Rio de Janeiro’s Ilha Grande, UNESCO World Heritage Site Fernando de Noronha, and São Paulo’s Ilhabela. Boipeba being a natural wildlife habitat, and given the necessity of protecting the Tinharé and Boipeba ecosystems, the state of Bahia created the Area of Environmental Protection (APA in Portuguese) of the islands of Tinharé and Boipeba, in June of 1992. Boipeba has only 3,000 inhabitants, who live in a few small fishing villages. Ilha Boipeba (Boipeba Island) is somewhere which still firmly holds onto its claim to paradise. - The scenery behind is also gorgeous. - The walking is easy and the temperature isn’t overbearing thanks to the light breeze. You can walk almost everywhere barefoot – the entire island seems to be made of sand and very comfortable (and easiest) to walk barefoot as long as the sand isn’t too hot. The area being sold is 158.41 acres and the beachfront is 150 metres. - from September to November whales in front of Bainema, swimming in the natural pools, fishing, Surf, etc. - Others for surfing etc. 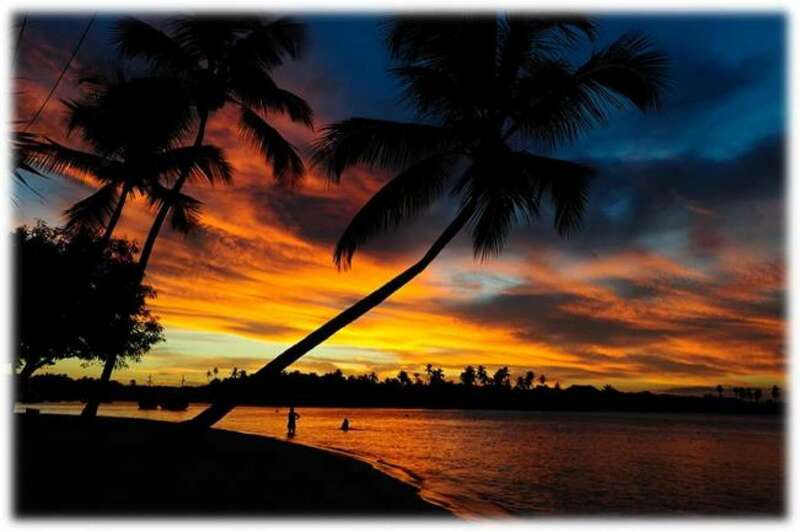 coconut-palmed beaches and reefs, it is a world of ecological diversity. Flora and fauna are rich in varieties of coral, algae, fish, mollusks, sea urchins, starfish, and other sea life. There are sea turtles found in the region, and spawning eggs can be seen on beaches around the island. Fishing is the predominant economic activity of the island. There are about 40 fishing boats run by diesel motors. While these boats are low on navigational equipment, they are high on the courage, ability, and knowledge of local boatmen. There are no ATMs on the island and credit card service is rare, so it is essential to bring enough cash for the trip. Electrical energy is 220 volts, and is brought to the island by underground cables. "Mboi pewa" is a Tupy Indian word which means flat snake, in reference to a sea turtle, giving the name to the island of Boipeba. - (60km) 35 nautical miles from Salvador by water. 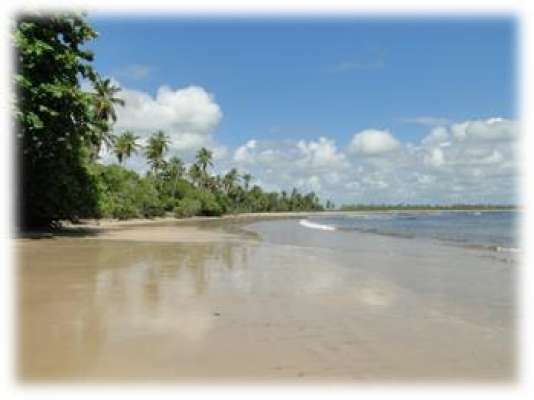 - BA001 affords access to the area after a 60 minute drive (108 kilometers) from the Ilha Itaparica Bridge to Valença. 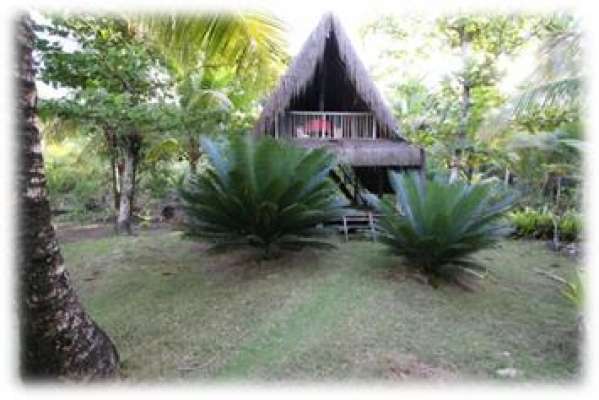 Fishing village with electricity, treated water, cell phone coverage, land line telephone service, television reception. All transportation on the island is handled by farm tractor or donkey. 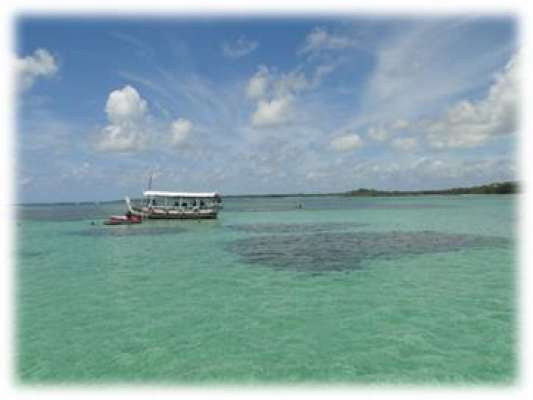 2009 - Private Islaneds Online- The tropical nation of Brazil already has many island eco-resorts. However, I predict that within a few years it will the eco-resort capital of the world. 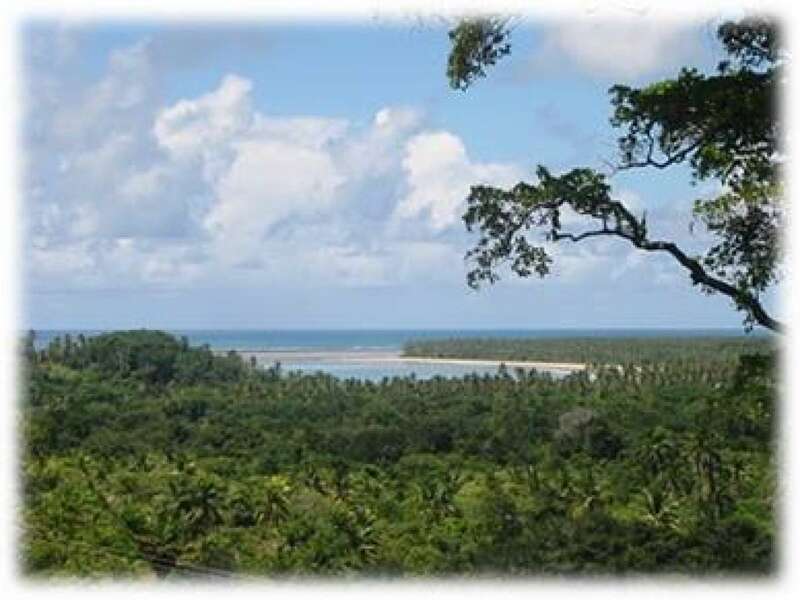 If you are looking to get in on the action, and have a few million to invest, you may want to consider BoiPeba Island. This 4,201 acre island already has plans drawn up for an exclusive eco-resort.The island is known to have one of the most beautiful beaches in the Brazil and is located just 35 nautical miles from Salvador which is only a 15 minute flight from Salvador International Airport. 1997 The magazine Veja, December 1997, in an interview with the head of Brazil's Space Agency the area is praised as having a perfect combination of weather and eco-attractions. There is excellent tourism potential in the beaches with a lot of sun, transparent waters, absence of pollution, along with the expanse, and color of the sand. Additionally there are small waves, year-round warm temperatures, and weak winds. With all of this considered Boipeba is truly a paradise on earth. The author states that there is no rival for these areas along the whole coast of Brazil. 1996 The magazine Revista Caminhos da Terra, in December 1996, in a critique of Brazil's beaches constantly refers to the Islands of Tinhare (Morro de Sao Paulo and Boipeba) as the standard by which all of Brazil's beaches must be measured by. 1996 The magazine, Revista Caminhos da Terra, specializing in eco-tourism, in the January 1996 praised the area by choosing the area for having one of the top ten beaches in Brazil. 1993 Inter-American Development Bank in a 1993 study for the Governors of the Northeast Region of Brazil has cited this area as one of the most promising areas of the world for investments in tourism. The returns would be great for just a little expenditure on infrastructure.